Positive working practice P4- Explain positive working practice with individuals with additional learning needs. M2- Discuss positive working practice with individuals with additional learning needs. D1- Evaluate working practices and their potential for breaking down barriers and improving the wellbeing and life chances of individuals with additional needs. Explain barriers which may be experienced by individuals with additional needs. P3- Explain barriers which may be experienced by individuals with additional needs. Unit 19 Nutrition Complete essay on Nutrition within health and social care. This essay covers all learning outcomes with each aspect of the assessment criteria being successfully achieved. This document is best suited for those studying level 3 health and social care at further education level. BTEC Level 3 Health and Social care, Unit - 11 Safeguarding adults and promoting independence, Task 1 - P1, P2, P3, M1, D1. This task will provide a great range of information for the reader, witch will help to cover all necessary requirements for task 1. This assignment contains great information about the forms of abuse, indicators of abuse and factors that contributes towards that occurrence. Also necessary assessments and evaluations are included. This work was marked by teacher and got all necessary marks. Hope it helps! Applied Sociological Perspectives in Health and Social Care A full-written essay that covers Pass criteria (P3 to P5), Merit Criteria (M2 and M3), and Distinction Criteria (D2) This essay provides an explanation of demographic change within a home country and a further explanation of how demographic data is used in health and social care. In addition to this, the essay also provides an explanation of the potential links between social inequalities and the health and wellbeing of the population. Throughout the mid-section of the essay underlies an assessment of recent demographic changes in the home country and a further assessment of the potential impact of social inequalities on the health of one group in society. Towards the end of the essay there is a complete evaluation of the potential links between social inequalities and the health of one group in society also. Unit 14: Physiological Disorders - P4, M2, D1 Unit 14: Physiological Disorders. Care Pathways Essay. P4, M2, D1. Disorder 1: spinal conditions. Disorder 2: Breast Cancer. 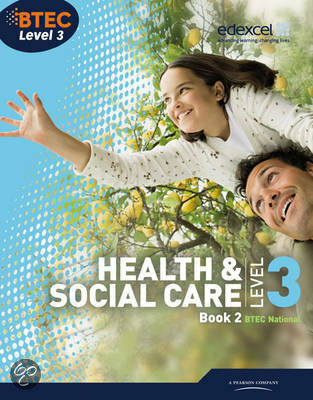 On this page you find summaries, notes, study guides and many more for the study book BTEC Level 3 National Health and Social Care: Student Book 2, written by Marilyn Billingham & Hilary Talman. The summaries are written by students themselves, which gives you the best possible insight into what is important to study about this book. Subjects like p2 & Unit 30 p1 will be dealt with.